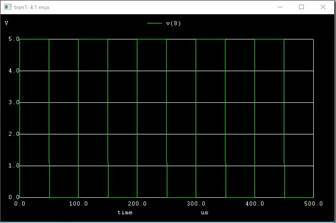 Abstract -In electronics, an Multiplexer is a device which transmits 2^n inputs through a single channel which is contolled by n control signals. Multiplexer is shortened as "MUX" and it is utilized in communications systems namely,Time Division Multiplexer(TDM) based transmission systems. 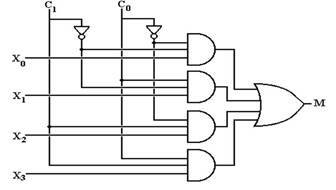 The multiplexer, shortened to "MUX" or "MPX", is a combinational logic circuit designed to switch one of several input lines through to a single common output line by the application of a control signal. Multiplexers operate like very fast acting multiple position rotary switches connecting or controlling multiple input lines called "channels" one at a time to the output. 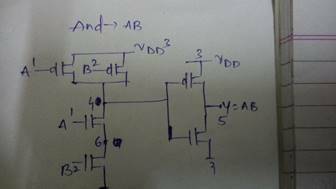 1.To get the true table of multiplexer. 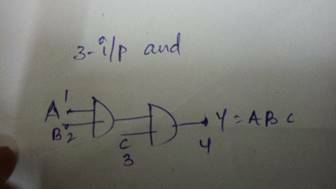 2.To get the Boolean equation using the truth table by using K-Map. 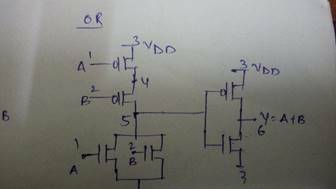 3.Then, by using the above Boolean Eqaution,construct the circuit Diagram. 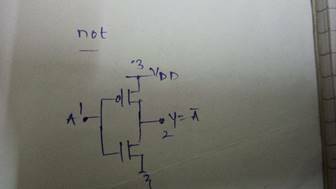 The logic gates such as And,Not,Or and 3-input And gates implemented using mosfets. 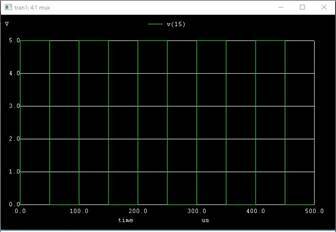 As we are giving 11 as control signals we need to check whether the input signal x3 is at the output or not.